Fermented foods and beverages, such as yogurt and kefir, are gaining in popularity as non-pharmaceutical, health-enhancing agents. Fermentation refers to the “slow decomposition of organic substances induced by microorganisms,” or by enzymes of plant or animal origin. In current vernacular, fermentation in food processing is the conversion of carbohydrates to alcohols, carbon dioxide and/or organic acids. The chemical changes which constitute fermentation can be advantageous or disadvantageous. Applying the word “fermentation” suggests that there is desirable change taking place, such as the production of beer and wine. 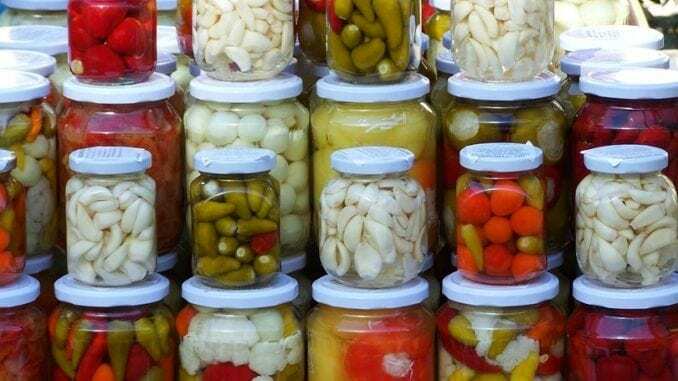 Fermentation has been a method of choice for the preservation of foods for thousands of years, and is still in practice in developing countries. When fruits and vegetables are abundant, fermentation preserves them for times of scarcity. The process requires no tools or technology, nor is it labor-intensive. This article is intended for education only. 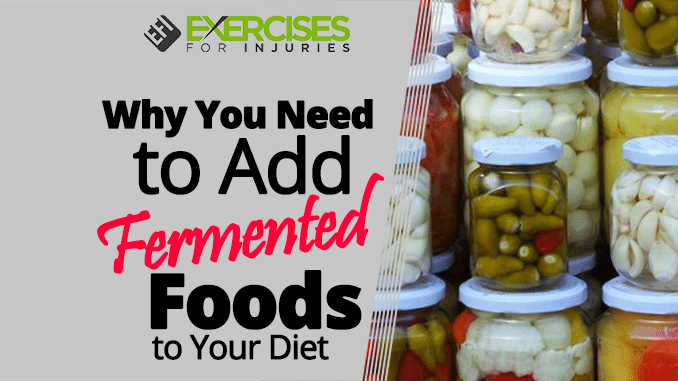 It does not offer opinions about the effects of fermented foods on health. It is not an endorsement of fermented foods, nor a recommendation for their use. 1. Bacteria, usually lactobacillus species, are essential for both initiating and maintaining the fermentation process. They convert carbohydrates into lactic acid. Acetobacter species, which produce acetic acid, are also common, especially in the fermentation of fruits and vegetables. 2. Yeasts are usually Saccharomyces species, used for conversion of carbohydrates to alcohols. This type of yeast is familiar – it causes bread to rise before baking. 3. Molds can cause food to decay, but can also act as preservatives. Variation in the types of microorganisms used for fermentation produces distinct flavors and textures in foods. Many ethnic groups incorporate fermented products into their traditional foods and methods of preparation, unique to their cultures. Dairy products are fermented primarily by Lactobacillus species. The bacteria produces lactic acid from lactose – the main carbohydrate (sugar) in milk. Fermentation increases the acidity of the products, which can inhibit growth of undesirable microorganisms. Other genera which may be present include: Streptococcus, Leuonostoc, Enterococcus and Lactococcus. Bifidobacteria are also common in fermented milk products. 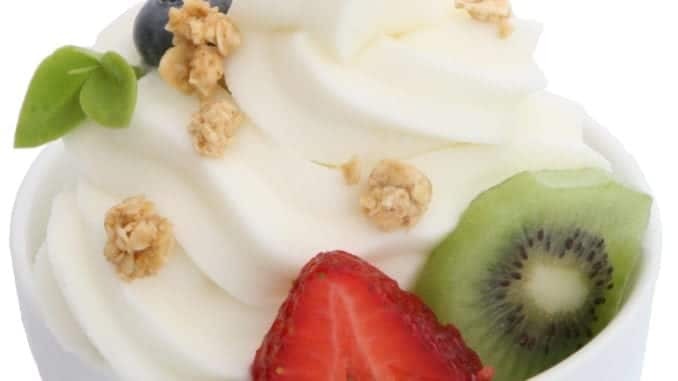 Most yogurts with which we are familiar are produced with a culture of L. delbrueckii, subp. Bulgaricus, and S. thermophiles. During the fermentation of dairy products, many desirable substances are produced or increased by the metabolic activity of the lactic acid bacteria, Propionibacterium, yeast and mold. These include vitamin B-12 and folic acid. Biotin may increase with fermentation as well. These dairy foods have additional peptides which are active. Claims have been made that the bioactive peptides can lower high blood pressure, and act as antimicrobial, antioxidative and immune system modulators. The action of lactic acid bacteria on lactose also produces galacto-oligosaccharide, an indigestible carbohydrate which can be beneficial. It has a prebiotic effect on the microorganisms present in the gut, promoting the growth of beneficial bacteria. Yogurt is a rich source of essential minerals, including calcium, magnesium, potassium, phosphorus and zinc. Their concentration is 50 percent greater than the concentration in milk. For many people, the minerals in yogurt are also more bioavailable – more digestible, with better absorption than in milk. It can often be digested easily by individuals with lactose intolerance. Yogurt is also a rich source of essential amino acids. The pre-digestion of milk proteins by the chemical changes of fermentation increases free amino acids, which are more easily digested than complex proteins. Multiple studies have found that regular ingestion of fermented milk products is significantly associated with a decreased incidence of several diseases. Some of these include bladder cancer, periodontitis, and heart disease. Harmful compounds may be found in fermented dairy products which have been contaminated by mycotoxins (fungus) and biogenetic amines, but there are strict regulatory standards set by international agencies. Effective methods for detecting undesirable substances have been developed. Most harmful compounds are identified before the products reach consumers. Fermentation of vegetables occurs spontaneously from bacteria present on the surfaces of the produce. Starter cultures may be used to speed up the fermentation, and ensure that the final product is reliable. The starter culture prevents failure of fermentation and inhibits rotting with disease-causing microorganisms. Fermentation by lactobacilli enhances the nutritional value of vegetables. Research with maize, soybeans and sorghum showed that fermentation reduces phytate content. Phytates are known to inhibit iron and zinc absorption. Fermentation of maize also increases the bioavailability of iron. Much of current research is focused on elucidating the effects of the bacteria of the microbiota in health and disease, especially the effects of altering the types and numbers of microorganisms in the GI tract. Greater understanding, it is hoped, will reveal new ways of using the knowledge to enhance health and alter the courses of diseases. Diet is one of the most significant factors in determining the environment within the GI tract, and one of the most effective means of altering the numbers and types of the microorganisms. Fermented foods have an abundance of bacteria which function as probiotics, conferring health benefits in the host. Recent research suggests that there is a core population of bacteria within the gut, as well as a variable population of some microorganisms, most of which have been ingested with food. There is some uncertainty, however, about the survival of live organisms ingested in food. If they are to have beneficial effects, they must be able to survive passage to the intestines. Factors which influence viability of the ingested microorganisms include: acidity, oxygen availability, temperature, moisture, storage temperature, and concentration of carbohydrates. Fermented foods must survive the mouth, esophagus, stomach and duodenum (the first part of the small bowel.) In the mouth, chewing and enzymes in saliva begins the breakdown of foods and ingested bacteria. The stomach is an extremely acidic environment, with a pH of < 3. 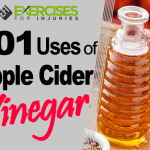 It also supplies potent, destructive enzymes, which break down proteins into smaller amino acids. Most microorganisms don’t survive the enzymes and potent acids which break down proteins in these parts of the GI tract. As ingested substances travel through the small intestine, the environment becomes less acidic, with a pH > 6, but the microorganisms are exposed to bile and potent enzymes, including amylase (breaks down starches into simple sugars), lipase (breaks down fats), pepsin and protease (additional protein breakdown). Some bacteria can survive the hostile environment and even grow in the small intestine. A greater number and concentration of bacteria in the ingested foods are correlated with greater survival. The surviving bacteria continue passage to the colon, where they adhere to the lining of the walls of the large intestine. Probiotics can be consumed as foods, or as supplements (pills, capsules). The probiotic industry accounts for about 10 percent of the global food market. 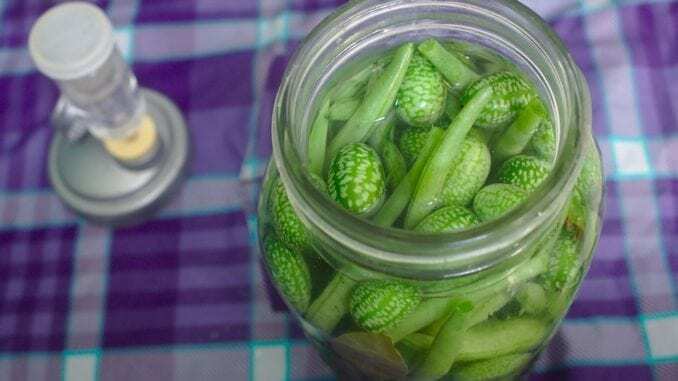 Many consumers choose to ferment their own fresh foods, which can be less expensive than buying commercially prepared fermented foods. There are many blogs, magazines, books and courses for guidance in the process of fermenting foods. Fermented foods can also be purchased, ready for consumption at natural food stores and supermarkets. Their availability is growing quickly. Fermented foods contain living organisms that must be kept cool to survive. Buy only fermented foods which have been kept refrigerated. • Dairy products: kefir, cultured buttermilk, some cheeses, yogurts. Yogurt can also be made with coconut milk. Processed foods, fast-food restaurants and sugar-sweetened beverages have become mainstream commodities in both the developed and the developing world. With changes in food consumption, some health issues which were unknown to some countries and regions are now prevalent. These include diabetes, cardiovascular disease, obesity and more. Domestically, the same health issues are escalating in frequency. Westernized food products have become more available and affordable globally. There’s a concomitant decline in traditional food systems, including a decrease in fermented foods. Traditional fermented foods, though, have much to offer, especially in association to gut microbiota. 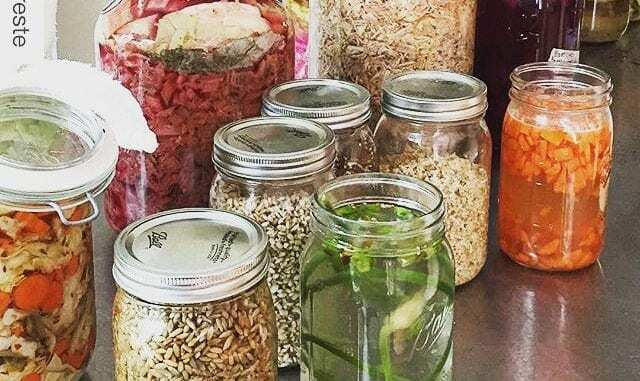 More work is warranted to identify and understand how traditional, fermented foods, and new fermentation techniques, can be health-enhancing. 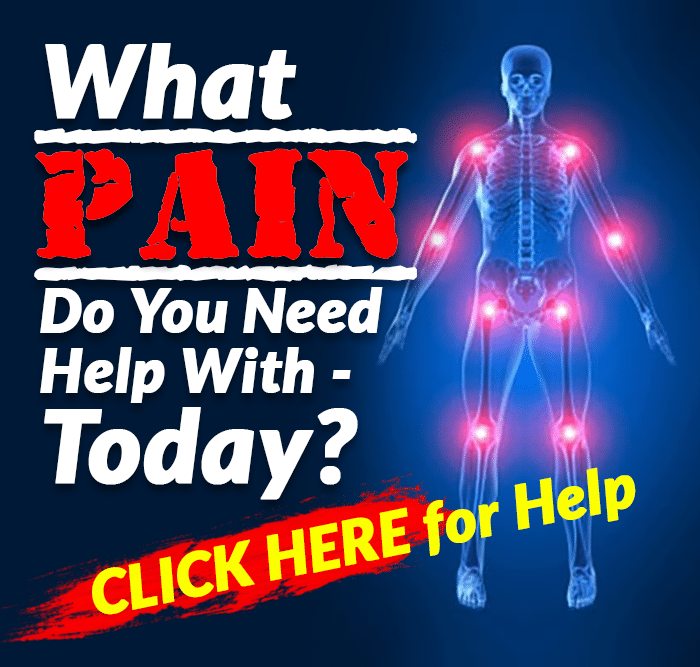 If you want to know what foods will help you shape up and shed inches while providing natural cure to illnesses, then click here to check out the Best Foods That Rapidly Slim & Heal In 7 Days program. 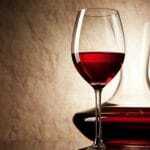 Is Red Wine Really as Healthy as They Say?